The following is a categorised index of (almost) every article contained within The Williams Database. Scroll down the page for articles on Williams Touring Car, Le Mans and other non-F1 related project articles. Driver Profiles – Profiles of all the drivers who have raced for the team including statistics and a CV. Drivers by Number of Years – Which drivers have driven for Williams for the greatest number of years? Williams Grove HQ – Take a look at the plush buildings that house Williams Grand Prix Engineering. The Williams Museum – Grove – Recently Williams moved their museum from the main building in Grove to the separate BMW Motorsport building at the back of the site. We have been round – take a look…. The Williams Museum – Didcot – Not generally open to the public, the Williams museum at the Didcot factory, contained examples of every Williams car and a few others. Take an on-line tour. The Vale and Downland Museum – The Vale and Downland Museum is only ten minutes drive away from the Williams factory and presents the best option to see a Williams car. Hot Wheels Williams F1 Team Driver – In this racing simulation game, players start out as go-kart drivers, eventually working up through F1600s and F3s before finally reaching the pinnacle of racing – F1. The History of Williams – From the formation of Williams Grand Prix Engineering in 1977, to the move to new headquarters in 1996 and beyond. All in chronological order with relevant links. Williams’ Old HQ at Didcot – Before the move to the current HQ at Grove, Williams had a long association with the town of Didcot. Latterly used to design the Le Mans challenger for BMW. The Ayrton Senna Trial – 1st May 1994 was a sad day for everyone in motorsport but for members of the Williams team the nightmare continued. This page covers the fateful day and subsequent events. FW06 vs. FW20 – Twenty years separate the FW06 and the FW20 – How do they differ what are their similarities? This article takes a look at the the two Patrick Head desiged cars. My Fabulous Years with Williams – by Alan Jones – The first driver to win a championship for the team gives a lively account of his time with the team. Williams’ First Grand Prix Victory – The victory at Silverstone that set the ball rolling all those years ago is relived here. 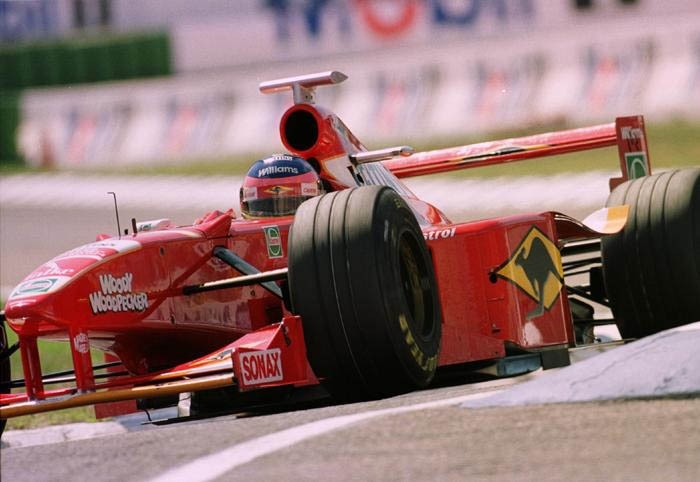 A Day at the Races – Silverstone 1997 – Occasionally a trip to a Grand Prix allows the average fan access to the team not normally afforded. 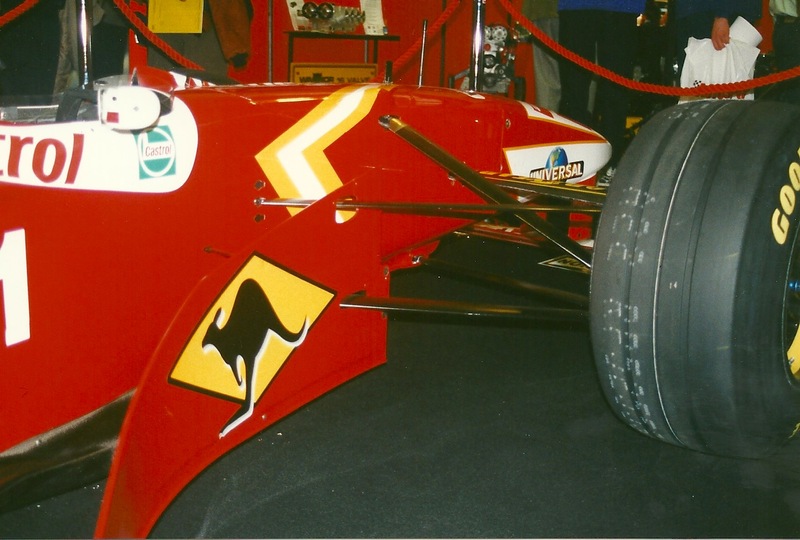 Autosport International 1998 – Gone is the blue of old sponsor Rothmans and in comes the bright red of the new Winfield. A Day at the Races – Silverstone 1998 – A rare look behind the scenes in the pit lane of Williams on a Grand Prix weekend. Autosport International 1999 – A lack of success for Williams in 1998 meant less exposure at this year’s show. While the new car was not due to be launched until the end of January the team did have a car showing off some of the new sponsors. Autosport International 2000 – This was the first opportunity for the public to see the Williams in it’s new colours reflecting the glory days of BMW. Autosport International 2001 – Pictures from the first public appearance of Juan Pablo Montoya in the UK since his signing to Williams F1. A Day at the Races – Silverstone 2001 – The excess of a BMW Williams trip to Silverstone – along with some classic Mercedes. Autosport International 2002 – This year’s show was lower key than in pervious years but Williams still we present with several cars. A Day at the Races – Goodwood 2002 – This year Goodwood celebrated 25 years of Williams Grand Prix Engineering with many examples of the companies cars and drives by the likes of Alan Jones and Ralf Schumacher. A Day at the Races – Goodwood 2003 – More retro racing on the Goodwood estate. Autosport International 2004 – More BMW era Williams cars. A Day at the Races – Goodwood 2004 – More retro racing on the Goodwood estate. A Day at the Races – Silverstone Test 2004 – An opportunity to see the cars and team working from close up in the pits on a test day. Where are they now? – Over their twenty year history Williams Grand Prix Engineering have built many chassis for race, test and experimental purposes. But where have they all gone? Test Run – Damon Hill and David Coulthard put the 1994 Williams challenger through it’s paces. Grove Celebrates the Millennium and Williams – To celebrate the start of a new millennium the village of Grove has had commissioned a monument for the village green. This depicts all the forms of transport that have been associated with the village over the years. This has included the canals, railways, a wartime airfield and now Williams Grand Prix. Championship Positions – Details of the finishing positions for every championship year since the formation of Williams Grand Prix Engineering. One Hundred Wins – During the 1997 season Williams joined an exclusive club – teams that have won more than 100 Grands Prix. All wins from the first at Silverstone in 1979 to the 100th, also at Silverstone, are listed here. The Birth of Williams Touring Car Engineering – The birth of Williams Touring Car Engineering was announced in September 1994 after a common path was found for Williams to extend its motorsport activities beyond Formula One and for Renault UK to advance its challenge in the British Touring Car Championship. If Reputations Won Titles… – If reputations won titles, Williams could confidently clear space in its trophy cabinet for a swag of silverware from the British Touring Car Championship. But the BTCC is no respecter of reputations and even mighty Williams, the World Champion of Formula 1 teams, has to learn how to be a winner in the touring car cauldron. David Coulthard Tests a Renault Laguna – During his time with Williams, David Coulthard had two opportunities to try out the British Touring Car Championship Renault Laguna. Here he describes the experience and the differences between a modern touring car and F1 racer. Fw17 vs. Renault Laguna – Ever wondered just how fast an F1 car really is compared to a Touring Car? David Coulthard in his FW17 took on Alain Menu in his BTCC Laguna for a lap of Silverstone. Did You Know? – A series of facinating facts from the Nescafe Blend 37 Williams Touring Car Team. 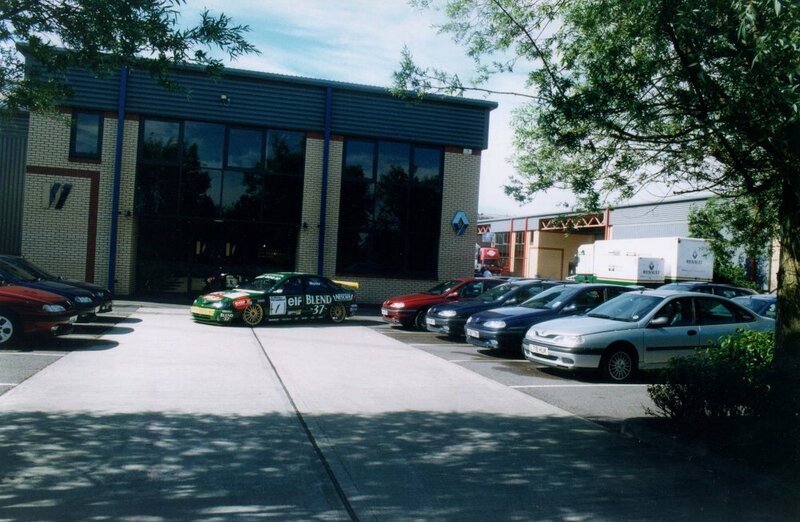 Williams’ BTCC Touring Car Home – Separate from the F1 team the Touring Car team had their own premises in Didcot. Technical Specification – Technical specification of the last ever Williams Touring Car in 1999. The last Outing – A grey, overcast and very rainy Silverstone was to provide the location for the last outing of Williams Touring Car Engineering. Not the sunny send-off the team might have hoped for either on or off the track. Inside the BTCC Factory – An unusual set of pictures of inside the Touring Car factory and the people at work. Williams at Bathurst – A classic event and a one off opportunity for Williams. Autosport International 1999 – A partner for Jason Plato was announced, frenchman Jean-Christophe Bouillon was no stranger to Williams having previously been the test driver for the F1 team. Autosport International 1998 – A partner for Jason Plato was announced, frenchman Jean-Christophe Bouillon was no stranger to Williams having previously been the test driver for the F1 team. International Touring Car – The International Touring Car championship was born out of the German DTM series bringing together three of Europe’s major car manufacturers, a level of motor racing technology beyond even Formula 1, and a 25-strong grid of ex-Grand Prix drivers and young would bes. Metro 6R4 – Williams were approached in 1980 with a brief to produce a competitive rally car for Rover and, as the future of the F1 business seemed clouded with political uncertainty at the time, an arrangement of this nature seemed a shrewd way of hedging their bets. Williams-BMW GT Project – A precursor to the Formula One partnership that began in 2000. This short lived project included a win a Le Mans. The Road to Le Mans – The pair of Williams designed BMW V12 Le Mans sports prototype racers take the start of the 66th running of the classic endurance race. Their time in the race was to be short-lived but a year before the car was just an idea in a designers mind. This is the diary of the LM V12’s road to Le Mans. Visiting Williams Oxfordshire – Thinking of making a visit to Oxfordshire to see the team? Then let us show you where you can go to see the history behind Frank Williams and his teams. The Men Behind the Success – It was during 1975 that the seeds were sown for what would become a successful partnership when Frank met a young designer – Patrick Head. Together they formed Williams Grand Prix Engineering and success quickly followed. Sunday Times Rich List – Every year The Sunday Times, a UK based newspaper, does a survey of the richest people in the UK and then publishes the results. Both Frank Williams and Patrick Head have been regular visitors to this list over the last few years. The Frank Williams I Know – by Murray Walker – I did not have all that much contact with Frank in the early days of his Formula One operation because I was strictly the BBC’s motorcycle specialist. Any interest which I took at that time in car racing was strictly out of my own enthusiasm. As far as I was concerened, he was a likeable, dash-about chap with lots of ambition and not always enough cash. The Homes of Frank Williams – There are many motives for moving house. An extra bedroom, a bigger garden, maybe the lure of the country. For the Williams’, however, the time to up sticks is as soon as the decorating is finished … even if that means seven homes in 21 years. Matra-Williams-Renault Espace F1 – This is a Renault Espace with a difference designed as a publicity tool, giving demonstration runs, such as at the British Grand Prix in 1995. 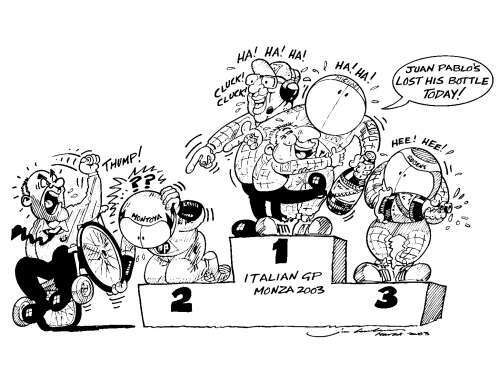 Jim Bamber Cartoons – A series of Williams related cartoons from the pen of Autosport’s cartoonist Jim Bamber. Building the Williams Conference Centre – Pictures showing the building of what is now the Williams Conference Centre at Grove. A Williams Reading list – Books, magazines and journals that have a connection to the Williams Teams and drivers.